Tender Support is an online customer support solution. 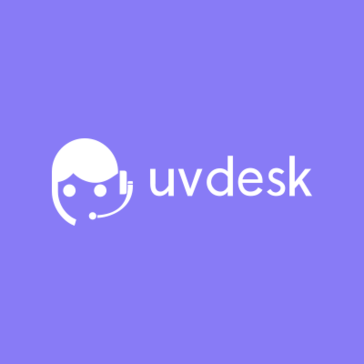 UVdesk Helpdesk is an eCommerce Helpdesk System which is built for providing you the supreme quality of support. Vtiger's Help Desk Edition helps small and medium-sized business support organizations provide better customer support. It consolidates and centralizes support requests from multiple channels (including email, calls, the customer portal, chat, and social media) by automatically transforming them into cases in its case management tool, linking to related CRM contacts, and correspondence, notes, projects and other related objects. This provides support agents with a comprehensive history of the case's progress, enabling for more productive engagements and faster resolutions. The support edition's SLAs can be customized and applied based on rules to ensure that all cases are addressed in an appropriate amount of time. Insights and reporting tools help managers identify bottlenecks in the case pipeline, from overworked reps, to slow customer responses. An FAQ that's buildable from cases ensures and accessible to customers ensures no wasted time. All of this ensures that customers receive prompt, high-quality service, and that customer satisfaction scores remain high. 365Ticketing- Versatile SaaS ticketing system which can be used as a help desk software, issue tracking software or as an incident management software. Abhisi is a Help Desk Software that answer support requests anytime, from anywhere using any device. ACANOTION help desk software is a Microsoft windows desktop software package that allows you to log support calls and jobs for anything ranging from help desks to problem tracking with products and services. Alcea HelpDesk gives organizations a competitive advantage by facilitating faster response times, increasing productivity, and ensuring that reported issues are being looked after. Any Request is a customer service software that allows users to store and track all customer requests. Service Support is a SaaS solution for receiving and managing internal requests to the company, which covers all of your service centers: General Resources, IT, Telephony, Human Resources, etc. As businesses use more technology to run their daily operations, support is becoming increasingly challenging. Traditional customer service platforms are inadequate as they fail to facilitate engaging interactions, lack industry context, and are built for 1:1 support, making it nearly impossible to collaborate to quickly and efficiently solve issues. Boomtown’s support platform transforms your agents into heroes without any extra work. It is built specifically for teams that support brick and mortar businesses so it has the tools, workflows, knowledge, and context to solve issues fast. Combine all of your customer data so you can manage your support team without guessing or ugly spreadsheets. We help you easily identify and act on the biggest opportunities to increase team productivity, make customers happier, and help your business grow. Brimir is an open source ticket manager. Allows to send and receive support emails through a web interface received emails are converted to tickets, which can be assigned to agents. Founded by former Managing Principal of the NW Region of salesforce.com, Cadalys is a System Implementation partner that helps Fortune 500 and Global 2000 clients succeed. As successful businesses become more sophisticated and experienced purchasers of Salesforce and AppExchange Cloud implementation services, they demand consultants who have more than just an expertise in Salesforce technology. To truly succeed as a business utilizing Salesforce, consultants must have a business savvy and insight that matches their ability to develop and deploy complex technical solutions. Cadalys fills a unique role in the marketplace, complementing our Salesforce and AppExchange Cloud expertise with a rich business-centric approach and perspective. Anyone can deliver a project on time and on budget - we will ensure that your business initiative succeeds as well. There are many helpdesk softwares, or short helpdesks, but they are usually complicated and overloaded with functions. Central Desk, on the other hand, is not only set up in no time at all, but is also immediately comprehensible and easy to use. A helpdesk that basically starts where e-mail support is no longer sufficient, but the large systems are much too complex. Using Central Desk in everyday life is as easy as writing e-mails, only more comfortable and as effective as a helpdesk software. CERDAAC is an advanced software service that integrates calibration, maintenance, and service management for assets serviced by SIMCO, internal departments, or other service vendors. Cingo enables companies to offer mobile app customer support across chat, voice and video. cliizii is designed for businesses who have existing customers that need to find out the Why! It harnesses the best features of online Focusgroup & Forum DNA blended with a social interface to keep participants engaged longer. Complaints Pro is a cloud software that helps you handle every customer complaint timely and efficiently, then it aggregates customer insights empowering you to improve your products and processes. Crowdbase is a knowlegde management platform that allows teams to easily share questions, answers, notes, and links in a private knowledge network, and then structures that data into relevant topics and visual pages to facilitate knowledge transfer, learning and discovery. Cyfeon's Customer Complaint Management Software is an end-to-end enterprise grade software solution specific to managing customer complaint activity for financial service compliance departments. Kapdesk is a customer service software that interact with customers and customer support executives, it has email support, Live Chat Support, Social Media Customer Support, Phone or Voice or Call Support, email Ticketing System. ServiceNow Demand Management centralizes strategic business and IT requests, streamlining the investment decision process for new products, services, repairs, and enhancements. Dimelo Digital is a doftare that provide consistent service quality to all customers by processing customer inquiries according to SLAs, customer profiles and agent availability. Dimelo Mail is a software that manage inbound emails. ECTS is a cloud-based complaint management solution that helps businesses across various industry verticals to automate and manage their complaint workflow process. ECTS allows customers to submit issues and complaints electronically via external web portals. Users can notify appropriate staff members of incoming complaints, assign follow-up tasks, perform collaborative investigations and tracking progress until complaints are resolved. The software provides users with customizable settings to configure workflow processes and alter user actions at different stages of a complaint. Users are provided with a central dashboard and calendar to prioritize and keep track of active complaints. ECTS also enables users to upload, view, download and categorize documents. Users can perform searches based on customizable filters and generate reports. ECTS offers a perpetual and annual licenses. Support is available via phone, email and other online resources. Enchant is a helpdesk and knowledge base software solution. eStreamDesk is a easy-to-use cloud-based help desk and ticketing system. eTicket is a PHP-based electronic support ticket system that can receive tickets via email (pop3/pipe) or a web form. Cloud based Ready to Use for Admin and Agent. Easily integrable Web and Androind SDK for Subscriber. Create, Track, Categorize, Prioritize, Resolve tickets. Emails Alerts. Real time Reports. ExDesk is a complete help desk software solution for small and medium size businesses. It's a remotely hosted ASP service, web based, and accessed from any browser for ease of use and affordability. You get a fully configurable system that matches your workflow needs precisely and combines power and simplicity with rapid deployment. Faasthelp is a customer support and engagement tool designed to reduce customer support costs by 80% and increase customer conversion and engagement by 300%. Easy to use email ticket and live chat helpdesk system. FuseDesk is a help-desk add-on for Infusionsoft. GS/HelpDesk is a complete internal IT service management solution for IBM Notes/Domino with support for the Notes client, desktop browser and mobile devices. Helloumi is a SaaS platform that helps companies engage users, using instant messaging for customer service and conversational commerce. HelpDesk is a service desk software designed for collaboration. Your team uses a single app for your customer problem resolution. HelpdeskPilot offers customer support and IT help desk management.